Community members in Los Angeles have been pushing for changes in school disciplinary policy. 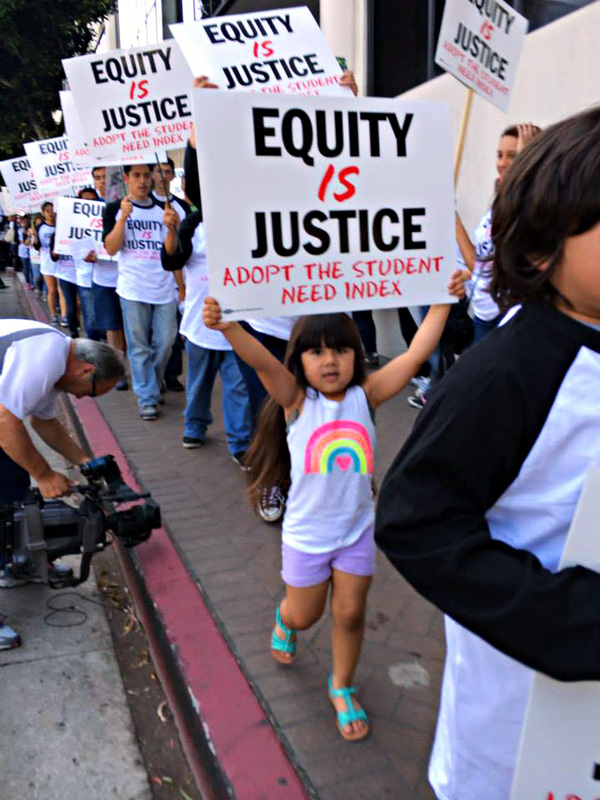 The Los Angeles Unified School District will begin using a new student need index to direct additional funding to the neediest schools under a plan expected to be adopted by the school board today. Under the state’s new Local Control Funding Formula (LCFF), districts receive supplemental grant funding based on their numbers of “high-needs” students – low-income students, English learners and foster youth. Districts in which these students make up at least 55 percent of enrollment receive concentration grant funding in addition to the supplemental funding. During the 2013-14 school year, L.A. Unified received about $700 million in supplemental and concentration grant funding, which it distributed to schools throughout the district, according to the LCFF. Supporters, young and old, want L.A. Unified to allocate more funds to high-needs schools. In the new index, the district will rank schools based on a “duplicated count” – counting students twice or more if they fall into more than one category. The district is also adding a fourth category: homeless students. Schools are ranked on the index based on the duplicated count divided by the total number of students. Those with the highest number of high-needs students will be on the priority list for funding. Supporters of this approach say that schools that serve the most students with multiple needs are typically located in impoverished communities. Those students need more resources than low-income students residing in higher-income neighborhoods. Less than a third of L.A. Unified schools are expected to receive the extra funding next year. 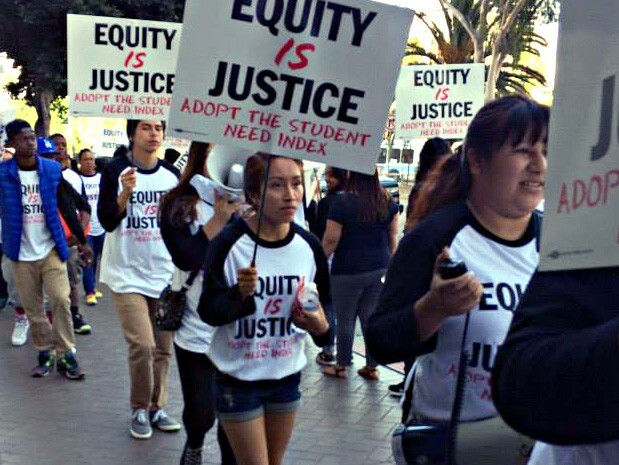 Community-based organizations in East and South Los Angeles rallied supporters to testify in favor of the student need index at the last board meeting on June 9. With a 5-1 vote, with board member Tamar Galatzan opposed, the board approved a resolution supporting the index. The final adoption of the index is set for today, when the board votes on the Local Control and Accountability Plan, which establishes district spending under the new funding formula for the next three years. The organizations had proposed including attributes of the students’ communities in determining the school’s ranking on the index, such as the level of gun violence, access to healthy food and full-service health clinics, and the number of parks and play spaces in the neighborhood. But Edgar Zazueta, the district’s chief of staff for external affairs, said when district staff looked into the issue, there was essentially no difference in the ordering of schools if they relied on the duplicated student count alone or included the community factors. Although some people, including Galatzan, oppose the index, saying that it shortchanges low-income, English learner, foster and homeless students who are attending less needy schools, the vast majority of advocates for low-income students have been supporting L.A. Unified’s approach. Sapp said many other districts are using the funds for select schools, but he doesn’t know of any district other than L.A. Unified that has developed a need index and is basing the index on duplicated counts. “This weighted approach is only being done by L.A. as far as I know,” said Sapp, who is in the process of reviewing spending plans for a large number of districts. Zimmer acknowledges that many schools in the district he represents will not qualify for funding during the next three-year cycle, but he believes the index is the best way to distribute limited funds. manuel, didnt lausd do something very similar with its title 1 funding? im curious how this ‘needs index’ will overlap with that weighted list of title 1 grantees. also, the whole idea of concentration grants was already to more heavily skew the proportions to the highest need areas. since lausd is more than half current or former english learner it seems this approach was a way to direct the funds more heavily toward that population, and away from the other subgroups of need. it would be interesting to see the demographics of the schools on this list, and how using a duplicated count changed it from what it otherwise would have been. No, navigio, LAUSD did not do anything similar with Title I. What it did was to increase the threshold a school had to have in order to receive funds. It was moved from 40% to 50%. When this was first done, a lot of schools just turned “affiliated” charter because they would get more money through the “block grant” than if they fought for lowering the threshold. Magnets dependent on transportation could not do it, however. But LCFF seems to have turned everything topsy-turvy as even schools that are undeniably in greater need are receiving less money in 2014-15 than in 2013-14, at least according to what LAUSD has published in various web pages. Yes, I agree, this make no sense given all the public rejoicing but the numbers don’t lie. If the Superintendent were sending funds to schools with greater needs then there should be a list of the schools receiving the increase. Yes, there is a list of schools that are part of the Reed Settlement but a list of schools ranked according to LAUSD’s “index,” which is nothing more than the school’s duplicated count divided by its enrollment, was not included in the Final Budget the Board approved. Besides, analysis of the published budget does not at all indicate that certain schools are getting more resources. What you will find is eloquent statements about how the funds distributed seemingly district-wide will increase educational outcomes. To me, it is just political theater since very few people are going to look under the hood. But one particular principal told me a month ago that he was told 60% of high schools were not going to get any extra money. Sooner or later this will percolate to the parents and eventually the media. The voters will then feel totally cheated since they were told that Prop 30 and LCFF were going to fix the money problems. And now it turns out that funding levels are worse. Who does Tamar Galatzan represent, anyway? She’s anti-poor, anti-teacher, anti-union. Why aren’t more people anti-Galatzan? The entirety of the “Equity is Justice” argument is a bit Orwellian. The demand is that all the funds received under the Supplemental and Concentration grants are to be distributed to only a set of schools identified as being “high need.” So much for the grants to be spent “proportionally” as the Ed Code now declares. This report accurately reports the fiction put forth by Superintendent Deasy on April 8 that LAUSD is obligated to spend only the difference between the S&C grants in 2013-14 ($700 million) and 2014-15 ($837 million), hence the $138 million figure (off by $1 million, but who says the other two amounts are correct?). Again, the Ed Code refers to the totality of the grants as supplemental, so why this obsession on the difference? Because rules handed down by the State Board of Ed gave them what they think is a loophole. Regardless, this is not what the Board voted on June 10. They voted to follow the idea that there should be a priority list for these funds and, necessarily, many schools would be left without any supplemental funding. No, you don’t have to take my word for it as there is video of the deliberations of the Board at their web site. Is this going to happen in 2014-15? No. 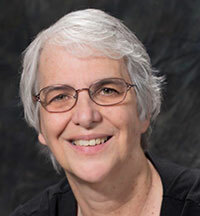 The final submitted budget mentions the use of a new “index,” but it does not provide any rankings and, more importantly, shows that the budget for the S&C grants is not substantially different than the budget presented on April 8 to the Board. Moreover, there is no mention in this budget of any particular school as getting any of this “extra” money. In fact, if you bother to read through its line items, you’ll see that more than half of the funds are earmarked for special needs students. There are many more factoids that can be gleaned from this budget, but, put simply, LAUSD is using the funds to supplant not to supplement. Clearly, all those public protests with matching t-shirts are just for show. District staff rely on the unwillingness of board members to reject an entire proposal based on disagreement with only one line item. Board members justify that behavior by being unwilling to take a stand on those disagreements at the voting scope they are presented because the penalty for lack of compliance on procedural issues apparently outweighs the injustice done by lack of attention to moral ones (even though they invariably also have a compliance correlate). Though in the end, a board is responsible for everything that happens in a district, even when they claim they had no choice. Indeed, that is the MO. But this is not just about one line item. It is about one-fifth of the LCFF funds. Where is the internal fortitude for calling the Superintendent onto the carpet? The LAUSD Board has been accused of dysfunctionality and/or meddling when it does its job. I am sure they don’t want to deal with what surely would be the Superintendent’s answer: this is my plan, if you want another one, tell me exactly how you want me to allocate the money. It has happened before in other matters. The Board invariably backs down under political pressure. I am sure, though, that this also happens up and down the state and we just don’t hear about it. It is what it is in the Great Golden State. I’m going to focus on the proportionality issue, though you’ve raised several others later in your comment. Frankly, I was a little confused as what you were arguing. If there was a genuine intent in LCFF law to target S and C grants to qualifying students, as they were the ones for whom the funds were allocated from the state to the districts, it would seem that the decision by California’s largest district to thumb its nose at that intent and allocate funding contrary to the expressed purpose of the law would be quite an embarrassment to the Governor and his hallmark legislation. Moreover, where in all these groups in favor the index are the many tens of thousands of targeted students who just lost thousands of dollars in funding that they were entitle to by law? If local control means only some targeted students get the prize money, why bother to have S and C grants at all? They could identify the lowest 5% of schools, much like with the SIG program, and hand out grants. Instead they have this dog and pony LCAP show and cut loose most of the qualifying students anyway. I can tell you this smells very similar to what’s happened in SFUSD where a select few schools get the bulk of comp-ed funding even though most low performing students don’t attend those few schools. Don, my understanding from Section 42238.01(a)(1) of the Ed Code is that districts are to increase services to students in proportion to the increase of funds generated by these students for the district. The budget that the LAUSD Board has approved doesn’t do that and it would have been even worse for 55% of the unduplicated students if the Superintendent were to follow the unanimously approved resolution on the Aggregated Student Need Index to the letter. Will this budget be approved by the LA County Office of Education? I have no idea. If they are vigilant and examine the budget, they should bounce it back because the Supplemental and Concentration grants are being used to supplant, not supplement. But, again, I am not holding my breath. Incidentally, LAUSD and SFUSD are members of the California Office to Reform Education. And that is another racket altogether. On the one hand, we have the new LCFF formula, its unduplicated count, and the companion accountability LCAP overseeing that targeted students receive S and C grant funding and, on the other hand, we have LAUSD writing its own formula (needs index) to cut out many of the targeted students under LCFF, thereby rewriting the law at the local level by doing away with the unduplicated count. If this isn’t a rejection of LCFF’s basic promise to students I don’t know what is. If Manuel is right and the argument over the baseline and the S and C increases that are required to be spent appropriately are a way of folding funding into the base grant, then it would make sense that Deasy would want to limit the number eligible schools to increase the impact of that limited funding. If indeed he is rerouting funding away from low performing students (the IF emphasized) it is quite a spectacle to have their advocates marching against themselves. My needs are greater than your needs.